1. 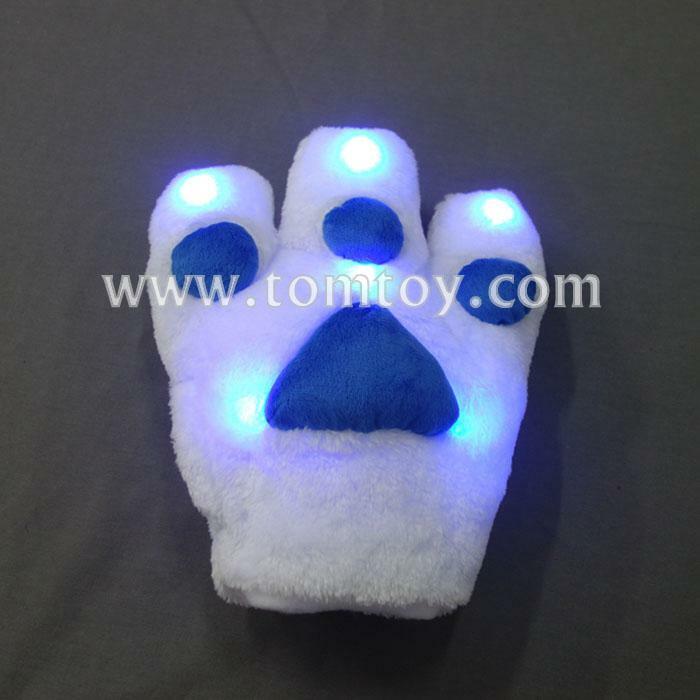 Glowing Light up paw palm is to uplift the mood with something soft, colourful, comforting and bright. 2. This colour changing LED paw is the perfect item,warm the atmosphere before you fall asleep or when you rest. This absolutely cosy comfortable plush will smooth you every time with its nice in touch surface. 4. Requires and installed 2*CR2032 batteries . 5. Led colors can be changed as your require .